Merkel’s time has come – to get her portrait drawn that is. I wasn’t completely true to the proportions, but i think it looks like her. The hair is a big difficulty as usual and the ink tends to dye everything a bit darker because it isn’t water resistant. But it’s fun! 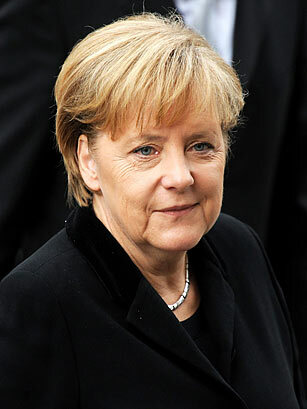 Merkel is part of my “Rulers of the World” series, that I’m not even half-way thorough. There’s a lot of presidents, prime ministers, premiers and so on to go – and when I get through them all I’m sure that a good part of them will have changed. Haha, Mutti! 😊 (we call her “mommy” in Germany, because she has something maternal…) Really good, it´s absolutely her! I always like the colors you use, I think you have a good sense of putting them together! This definitely looks like Merkel. I recognized her right away. Nice, definitely looks like her. I like the loose lines you have with the pen!